Who does not like ice cream? Ice creams are well-known around the world because of their flavor variety. It is practically impossible to find someone who does not like at least one flavor of ice cream. Ice cream is delicious; however, it is full of carbs, sugar, and fats. In these days, it is difficult to find healthy ice cream which is sugar-free and low carb. Here is the best sugar free ice cream recipe, you will surely love it. Many ice creams are heavy and harmful. Companies add large quantities of sugar, colors, preservatives, and egg substitutes. These ingredients cannot be considered healthy. Learn how to make sugar free ice cream at home, it is very easy. You can include your children in the process, they will be thankful. Ask them what they think they can add to the original recipe. Listen to them, surely they have good ideas. 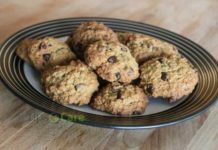 The best quaker oatmeal cookie recipe might be a good recipe for you. How to make coffee without a coffee maker. You may try out Popeyes red beans and rice recipe. 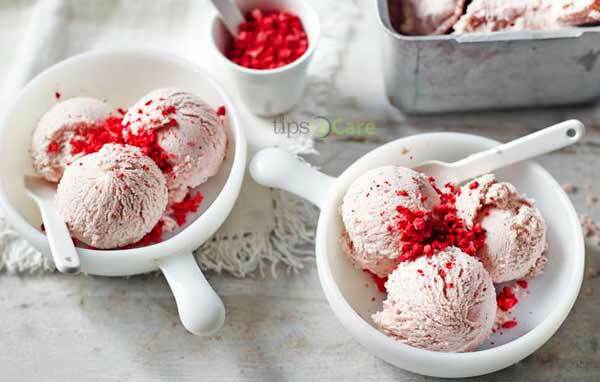 These sugar free ice cream recipes will not disappoint you. They are very simple. They are perfect whether if you want to lose weight by eating delicious food or if you want to forget about colors and preservatives. In all the cases, this recipe is for you. Are you fanatic of chocolate? Or, do you prefer vanilla? It does not matter what is your favorite one, here is the basic recipe you can add whatever you want. It is very simple, it will take you just a few minutes, and the result is amazing. 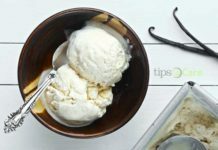 You can add ingredients to this recipe, and create your original sugar-free ice cream recipe as well. An extract. It can be vanilla, coconut, or any flavor you prefer. Using these 4 ingredients will give you the best result. Probably you are asking yourself what MCT oil or oil powder do. Well, it is an ingredient that many people prefer to add because I can change the ice cream consistency. If you want a smooth sensation in your mouth and you will not add MCT oil or oil powder, then you have to be extra diligent and pay attention of cooling time regularly. If you do not do it, ice cream hardens too much. However, if it gets harder, ice cream will still be delicious. sugar free ice cream recipe is not difficult; however, it takes a little while of preparation. Be patient, the result will be enjoyable. First, you have to melt butter in a large saucepan. Add heavy cream and powdered sweetener. Simmer until this mix gets reduced. After you evaporate the liquid, the mixture will thick, forming a delicious sugar-free sweetened condensed milk. TIP: it is better if you use a large, heavy bottom pan in the process. A large pan will mean more surface area for your mixture to be ready faster. Then you should add the MCT oil or powder if you are not using an ice cream maker. It is better if you include it because it improves the texture of the mixture. But if you cannot cost this ingredient, it is not indispensable. You can make delicious ice cream as well. At this moment, you could add extra ingredients like vanilla bean seeds or any extract. Use your imagination; it will result totally original and amazing. TIP: If you have a sensitive stomach, go for MCT oil powder because it is gentler than the oil. Add the rest of the ingredients to the condensed milk. It is easier to mix them if they are cold. Make it gently and gradually. TIP: Remember not to over mix. It does not have to be super thick. If you overdo it, the sugar free ice cream recipe will have the consistency of butter. Place the mixture you created in a freezer container and freeze. Your sugar-free mixture can be placed in a glass loaf pan or plastic containers. If you use glass containers, the ice cream will be ready sooner. TIP: if it gets too hard after a long time, let it melt outside the freezer for a while before serving it. You can be helped by technological ice cream makers. There are lots of benefits if you use ice cream makers in this process; for example, the temperature of the ice cream will stay cold for much more minutes, so you do not have to worry that it will melt fast. You just need to follow the same instructions. Using an ice cream maker will result in better ice cream. If you add MCT oil or oil powder, you surely will get a better result. Be creative. Many people prefer chocolate or vanilla ice cream. But, there are other ingredients that could be added for creating an original recipe. Try adding lemons or coffee. These are universal flavors. If you do not know how to be creative, your kids will be glad to help you. If they say that it would be good to add peanut butter, add it! It could result delicious. If you prefer to enjoy ice cream bars, you can easily place the mixture in ice cream bars makers and put it a stick to hold it while you eat it. Being creative never was so delicious. Your imagination is the only one limit. This homemade sugar free ice cream recipe results smooth and addictive, in a good way. Follow the instruction and tip that were given to you. 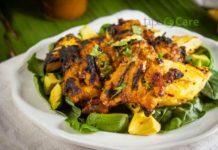 This recipe has been tried for many people. After making your own ice cream, you will want to enjoy these frozen desserts even in winter. This is a very simple recipe. Try to make this recipe at home; you surely will enjoy a good moment. You and your family are important. Stop buying typical ice cream. They are not healthy. They contain large quantities of sugar and carbs. Some ingredients like colors and preservatives are not necessary at all. Follow this sugar free ice cream recipe and transform your life. If you are an ice cream lover, you can eat all the ice cream you want because this is not novice as commercial ice cream versions. Additionally, you can earn money because buying the ingredients and make ice cream at home result cheaper.